Sophy Roberts writes about her visit the Serengeti in Northern Tanzania in Total Surrender. 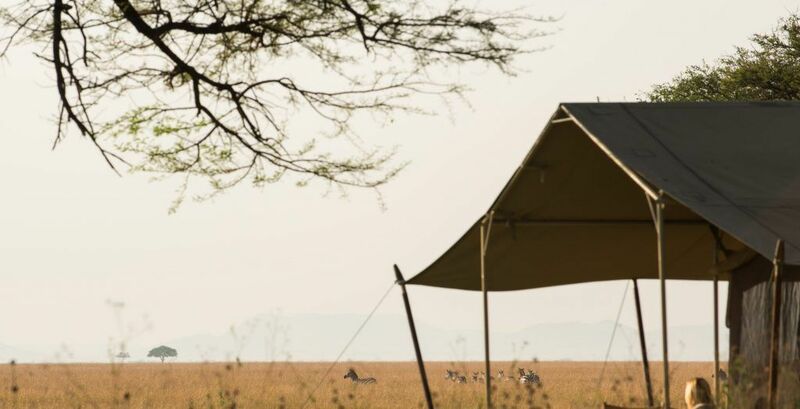 With a guide of world-class standards, a mobile tent and a scout (with a rifle), Sophy’s safari is experienced the old-fashioned way – on foot. Richard Knocker is her guide and her opening tale talks of bumping into packs of wild dogs – often seen as remorseless creatures who eat their prey alive – sunning themselves on the plains of the Serengeti. ‘It’s not the animals that grip me’, Sophy tells us, ‘it’s the clouds skimming over the plain, belittling everything beneath them that makes me feel so irrelevant’. At the risk of ‘tented’ sounding a little too rustic, this trip was anything but, with a whole host of accompanying staff who, aside from the aforementioned scout and guide, included photographer, watchmen, waiters, chefs and attendants. Please do have a read of Sophy’s piece and if you’re interested in a walking safari to northern Tanzania, please get in touch with us and one of our destination specialists would be happy to help.